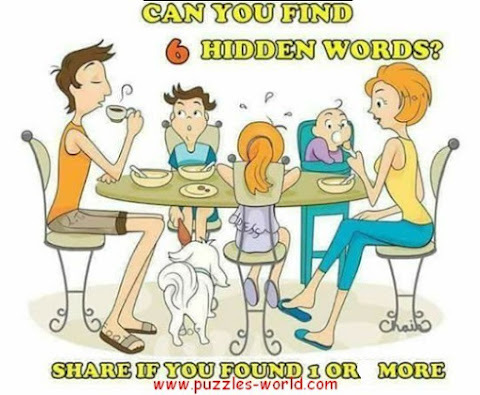 Can you find 6 Hidden words ? There are 6 hidden words in the picture above. The six words are hidden in plain sight. Let see who can find all the 6 hidden words first. Share if you found 1 or more ! !